A fresh evergreen scent of the Cypress with notes of the floral Ylang Ylang, One Tribe ‘Cypress and Ylang Ylang’ Beard Balm is guaranteed to leave your beard feeling fresh! A blend of Beeswax, Coconut Oil, Jojoba Oil and Shea Butter, One Tribe Beard Balm is a soft balm that is very easy to scoop from the tin and a quick rub in your palms and its ready to be worked into your beard and onto the skin under the beard. 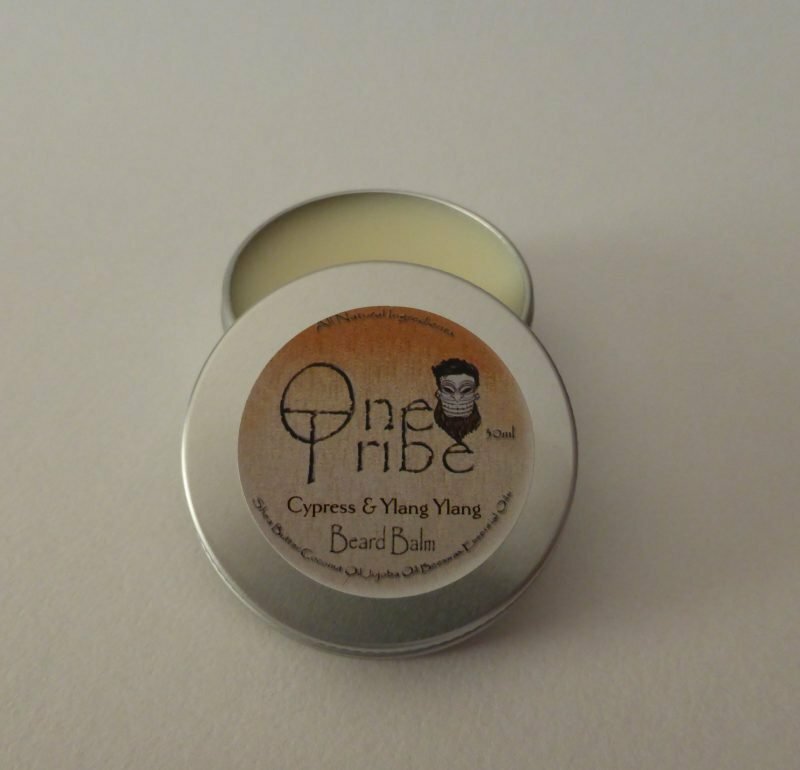 One Tribe ‘Cypress and Ylang Ylang’ Beard Balm has very little hold and leaves your beard feeling naturally soft. One Tribe Balms are hand Made in Pembrokeshire using only 100% Natural Ingredients and this is the reason I recommend the smaller brands, they tend to offer a better quality product and they are made in small batches meaning your beard balm hasn’t been sat in a warehouse for months before you buy it! Using a good quality Balm like this is important to help your beard be the best it can be, it will help to moisturise and soften the beard and also protect it from harsh weather. The skin underneath the beard benefits from the balm just as much as the beard hair, after all its from here that the beard grows and so by keeping the skin moisturised and by massaging in a balm or oil and brushing the beard, you will get better growth and a stronger beard and avoid that itchy feeling and dry skin!